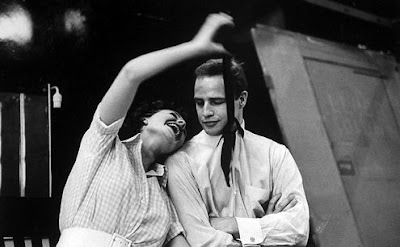 Jean Simmons having fun on the set (of Guys and Dolls) with Marlon Brando. Not film related, but me related! As many of you know I went to Sierra Leone, Africa this past April and I'm hoping to go again in November. This video is pretty cool. I did not make it!!! It was made by a lady who also has been to Sierra Leone. This actually is the very school I worked with and helped build a new building. As you can see in a few photos, the existing school was pretty run-down and dangerous. Anyways, these kids are very special to me and I know some of you wanted to know a little about my trip and what I did. 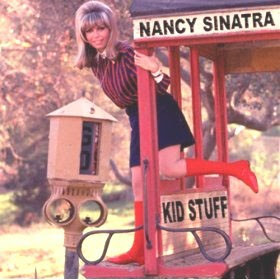 This week's Lovely Lady is none other than the adorable Nancy Sinatra. 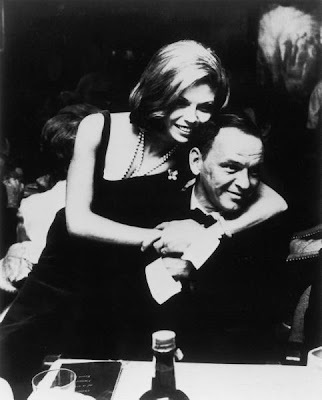 Nancy Sinatra is the daughter of Frank. She is absolutely amazing and always brings a smile to my face. I mean, who can help, but like her? 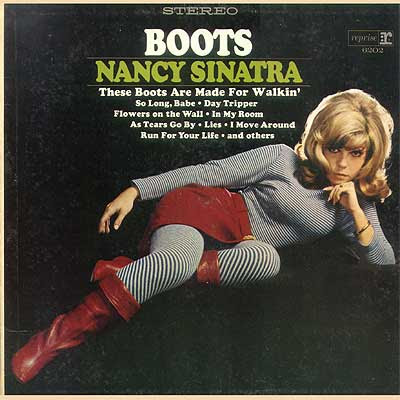 She also has many singles that charted Billboard and several #1 hits! 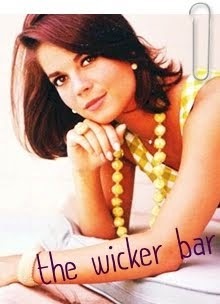 Join me next week for either Natalie Wood or Jean Simmons....vote for your choice in the comments! 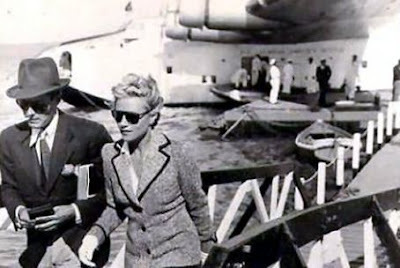 Tyrone Power and his darling wife Annabella. Story: So, last night I was kinda sad about something so I decided to put in a movie to cheer me up. 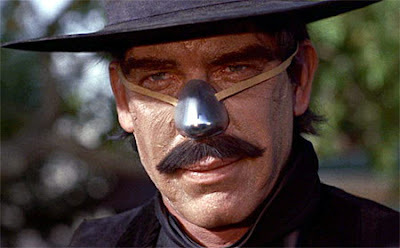 Ty had won my quiz, so immediately I thought of him, and I put on "Zorro". When, it was over I was greatly cheered, so I went over to special features. I was so bored just then that I started playing the documentary on Ty.......bad idea. So, Ginger Ingenue over at Asleep In New York did an online quiz to see the future (it's real I tell you...it KNOWS the future...). 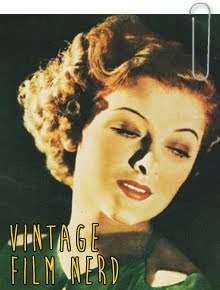 Then Kate-Gabrielle over at Silents and Talkies did it! That was when I got angry. 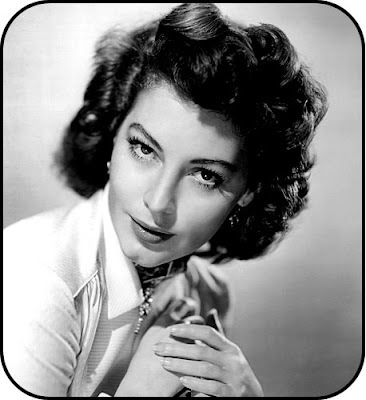 She "somehow" ended up with Dana Andrews (MY Dana Andrews!) I've told her time-and-time-again...stay away...he's mine. But, she pays NO attention...tsk, tsk, tsk! Ahhh, the stupid screen-shot will not work...once again! 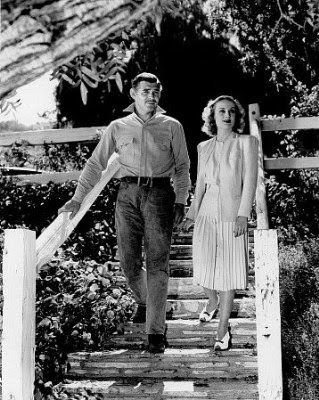 "You will marry Tyrone Power. After a wild honeymoon, you will settle down in Sierra Leone in your fabulous house. You will have 69 kids together. The family will zoom around in an orange, car that Grace Kelly drives in To Catch A Thief. You will spend your days as a Jeopardy winner (like Ken!) and live happily ever after." First of all, I was going to type in Dana Andrews name in all five spaces but decided (independently, Kate) that that would be cheating. So, I filled in a few other names (actually the first three people that came to mind: Tyrone, James Dean, and Jack Lemmon). 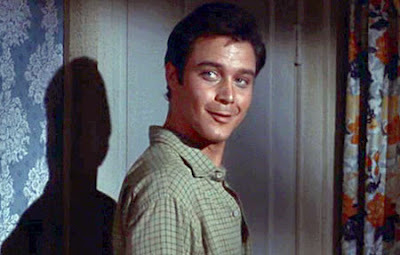 And, just so I could top Kate, I also filled the final spot with someone even more annoying then Randolph Scott...ahhh....shudder...(and you never thought that was possible)...the final spot went to none other than......Captain Kirk! (That's enough to provoke nightmares!) Thankfully, he was the first eliminated! Sierra Leone? That's gonna be a lot of laughs. Any place in the world, and Tyrone (yes, from now on all the blame will rest on him) picks THE poorest AND least-livable country in the world. Well, actually now I can use all his money (and my Jeopardy winnings) to fix up that country a little! Add some working wells, a little food, a few hundred thousand pairs of shoes and that country will be looking better REALLY fast! But, I still wish the machine picked Seattle. Now, there's a cool city. Um, so 69 is a rather large number is it not? It's because we adopted so many Sierra Leoneon orphans! I really don't know HOW all the children are going to fit in that one little car. Makes me almost wish I got the "super-ugly, boxy mini-van". Although my preferred choice over-all was: "A beat-up, old Subaru". That's a nice profession if you want a little easy money! And look how well Ken did (yes, I avidly watched Ken Jennings ascent and fall...I saw the very episode in which he was brought down...tragedy). So anyways, funtimes! Totally do the quiz! And let me know when you do! I LOVE this movie. It's one of those films that provides such nice, mind-smushing entertainment that one can't help but feel happier after seeing it. I started thinking about this movie after I did that post about Michael Callen looking exactly like Kris Allen. I just had to see it again...it's so much fun, so I checked it out from my library (although I really need to buy a copy). 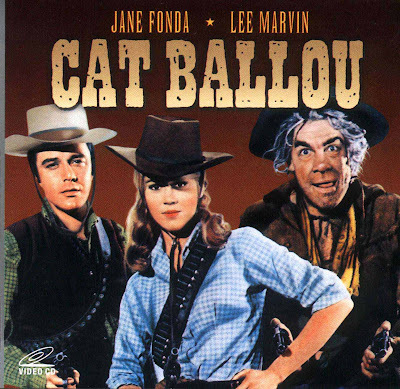 Jane Fonda is Cat Ballou, a fresh-out of the-girls academy student-who wants to be a school teacher. She seeks revenge on Wolf City for what they did to her father, wreaks havoc wherever she goes, and falls for Clay...not necessarily in that order! I give her performance 4 out 5 stars (I measure my stars by how much an actor entertained me/lived up to my expectations). 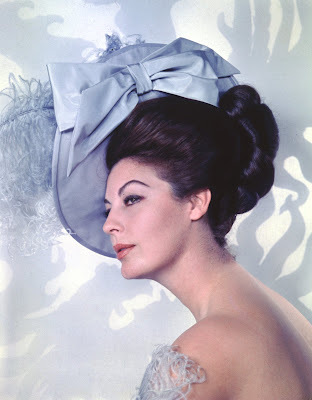 Jane did very well with what she had, which was not the main comedic role. 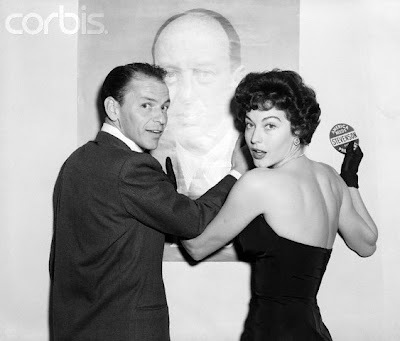 She was the "foundation" for the film. Because you can't have every character be crazy in a film...it just doesn't work (most of the time). There has to be someone playing it straight...that's what Jane did. And she did quite well at it too! 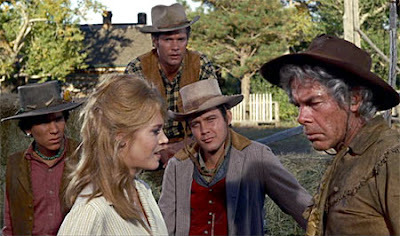 Lee Marvin is Kid Shelleen/Tim Strawn. I have frankly NEVER even liked his performance in this film. I don't how he got the Oscar, because in my opinion (and I know it isn't shared by many others) he wasn't very funny in this film. 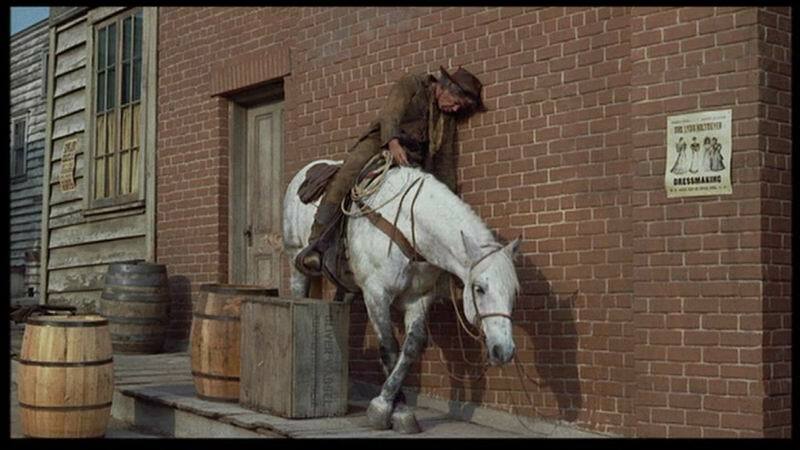 Now, I have never, ever liked Lee Marvin as an actor...but I am usually willing to overlook something like that...if the actor does really, really well in a film. When I first saw this movie I was expecting him to do just that. The hype around his role was incredible, and I started to get excited about it. But, he just didn't deliver. There were a few funny lines, but not nearly as much as I expected from an Oscar-winning performance. I give his performance 1 out of 5 stars. Michael Callan is the "absolutely useless" Clay Boone, a cattle rustler with a price on his head ($35). He is a forever charming outlaw, but he doesn't want Cat to think that he's offering any "unwelcome advances", because he "put's women on a pedestal, he does". 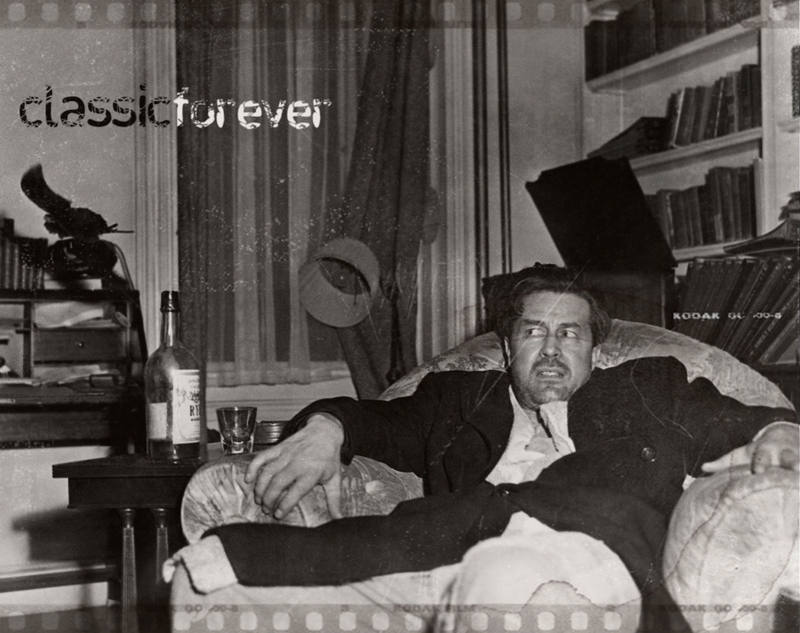 However his Uncle Jed would beg to differ, "His [Clay's] morals have been a millstone around my neck". I give his performance 5 out of 5 stars. This is partially because I simply adore Michael, but it's also more than that. I really believe he gave an excellent performance. 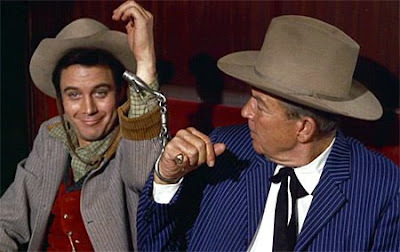 His Clay is one of the funniest characters in the film (along with Uncle Jed and Jackson Two-Bears). He delivers his lines perfectly and adds quite a lot to his supporting character. 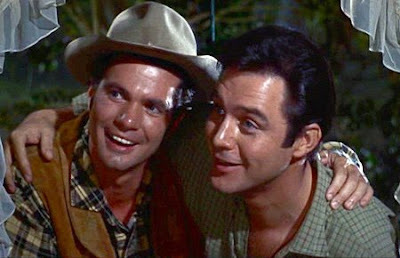 Dwayne Hickman is Uncle Jed. Strangely enough he appears to be the same age as his nephew Clay. He likes to masquerade as preacher (and the costume becomes quite handy at times). 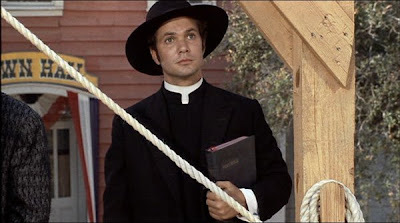 At heart he is a great moralist, despite being a cattle rustler. His main function in life is to follow Clay around making sure he doesn't get into trouble. I give his performance 5 out of 5 stars. He is hilarious. His facial expressions are priceless! He does this role so well! He and Michael work really well together. But his best scenes are when he gives his "eloquent" speeches about morality and righteousness. 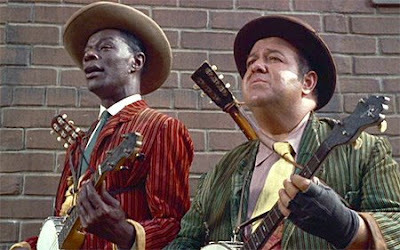 Nat King Cole and Stubby Kaye are the two singing narrators. They are fantastic. This is one of only two films I have seen Stubby in (the other being "Guys and Dolls"...he was Nicely-Nicely) and he is a joy. But, Nat King Cole is utterly amazing. His voice is such a refreshing sound. It is very sad that he died of lung cancer just months before the film was released. This was his final film...and he puts his all into it. I give both of them 5 out of 5 stars. 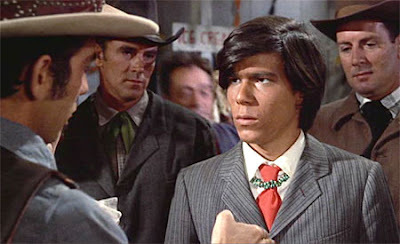 Tom Nardini is Jackson Two-Bears, a non-Hebrew speaking, Sioux Indian. He is not responsible for what happened to General Custer ("I swear, I was just a little baby then! "), but some people just don't seem to understand that. I give his performance 5 out of 5 stars. Tom does a stupendous job with this role. He is witty, caring, and simply hilarious! Jackson, Clay, and Jed are the funniest characters in the movie and this definitely in part because of Tom's brilliant acting. 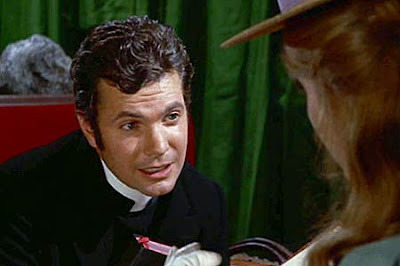 John Marley is Frankie Ballou. He is Cat's father. And he is also a rancher, firmly convinced that Jackson is Jewish (as are all Indians). He is stubborn and brave, but has a tragic accident half-way through the film (well, as tragic as can be in a comedy such as this). I give his performance 4 out of 5 stars. He is excellent in this movie and really delivers some laughs. His insistance that Jackson is Jewish is a definite highlight. SPOILER ALERT: I may give away small plot details, nothing incredibly important, but nonetheless I thought I should warn you. This is the first scene when we meet Cat. She is sewing her "hanging dress" as she is sentenced to die the next day. She thinks back to how it all started (mere weeks/months (not exactly clear) ago). This is the second scene, this is also when we first meet Clay. He is in a sheriff's custody and is being taken to trial. This is seconds later and we first meet Uncle Jed (disguised as a drunk preacher). Jed: "I'm as drunk as a skunk. I apologize for being in this disgusting condition. I assure you, I'll not inflict myself on you further. It's the first time in my life I ever drank. I took the pledge at the the big temperance meeting...in Gratzburg, Montana. You remember that? It was a great outpouring of the spirit...and I'll not inflict myself on you further." Clay hides out in Cat's berth after escaping the Sheriff. Cat: "I thought you were lying." Clay: "You mean I wasn't!?" Clay: "What's your name, so I can vote for you in the next election?" The silver-nosed ("it got bit off in a fight") gunfighter, Tim Strawn. After a dance, Clay and his Uncle Jed come home with Cat (who has asked for their help). The "cowardly" Clay has different ideas on his mind, than helping defend the farm. Cat: "I can't talk with you just sitting on the bed." Uncle Jed pops up at the window at the most inopportune moment (according to Clay). But gallantly offers his services as a gunman. Cat: "I helped you before. Will you help me? Cat: "Stay here with us. Somebody's trying to kill my father, Jed." Jed: "We'll stay ma'am, to do what we can." Cat: (pointing to Clay) "We don't need him then." Clay: "I think you do. See, my uncle ain't never shot at a man. It's against his principles." Jed: "Yes, ma'am, that's true. Neither has he." Clay: "But we'll stay and do what we can...........as long as there ain't no trouble." The drunk, Kid Shelleen shows up. He is slightly less than what they were hoping. Clay: "He did it! He missed the barn!" 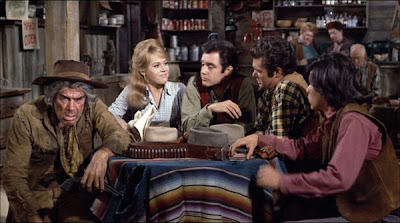 The entire gang together at Hole in theWall: Kid, Cat, Clay, Jed, and Jackson. This planning scene is one of my favorites. Clay is trying to impress Cat by suggesting the gang rustle 50 head of cattle. Cat is unimpressed and suggests robbing a train instead. Jed: "Ma'am, I can understand your objection to rustlin' - a girl with your background and gentle upbringing - but it's the only way we can raise money. " 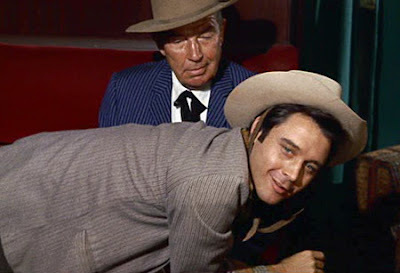 Clay: Well, what do you think we ought to do that's fittin' and proper?" Clay: "We can't hold up the train." 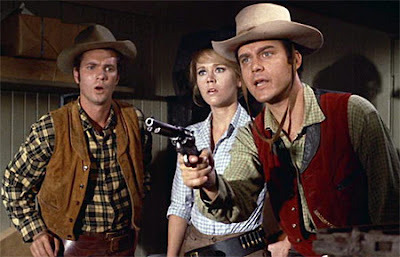 Clay: "We're rustlers, not train robbers." Cat: "Well, if people didn't try something new, there wouldn't be hardly any progress at all." Jed, Cat, and Clay attempt to rob the train, but the guard is not at all scared by them (and their gun). Cat: "Okay, you, open up!" Clay: Come on now! Open it! I got a gun! Guard: "You'll just have to use it." Jed: "What are we gonna do? Clay: "I told you this could happen." 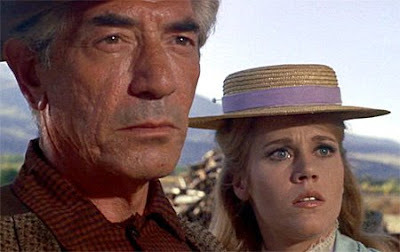 After the train-robbery, Cat expresses her love for Clay, which thoroughly frightens him off. In fact, he runs right away! Cat: "I think I love you." Clay: "There you go, all serious all of a sudden. You're like all the rest of them, you gotta be in love with some guy! Come on! Don't be so serious!" Cat: "You're nothing like you think you are." Cat: "Cowardy custard. Oh, you're selfish and a little stupid...but you're not cowardly at all." Clay: "Well, I mean...when you admire a man, you just go all out!" Cat: "Love is not blind. I see all your faults, and I don't care. I love you anyway!" Clay: "Love! And I was gonna take you to St. Louis." Clay: "I never promised to be no hero, did I?" Cat: "You're no hero, so don't worry about it." Anyways, in conclusion, I simply love this movie. It's happy and very funny! And I would recommend it to anyone! Terribly sorry about this disjointed and slightly (or more than slightly) confusing post. That is why it is called a semi-review....hahahaha! But, I keep getting the feeling I left something important out...I always do. Oh, well! 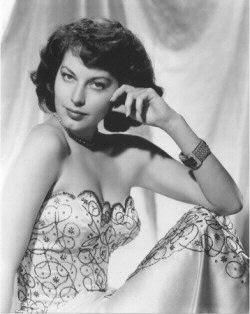 Jane in a publicity photo. 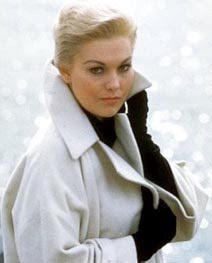 Kim Novak. I absolutely adore this photo, mainly because of her super-stylish coat and gloves! I feel SO bad about this! I am forever forgetting to accept awards from people! Both of these were given to me on May 11th! A full two weeks ago! Wow! Anyways, thanks SO much to Alexis of Ingrid Bergman Life and Films and Kate-Gabrielle of flapperdoodle! Whatever could be said about these amazing blogs has already been said (by me). They really are fantastic as are the people writing them. I would write a little paragraph about each of these super-cool blogs, but sadly I am running out of different descriptive words to use. I just wanted to say that each blog is stupendous and these are ones I rush to read when I see a new post on my dashboard! And thanks again to Kate and Alexis! 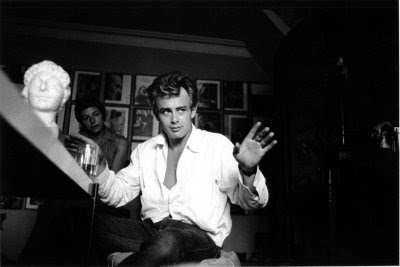 I feel like I post James Dean pics every Sunday? 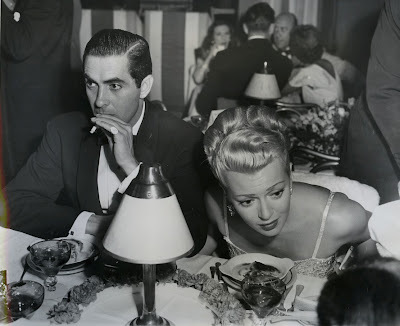 Tyrone Power and his date Lana Turner. I promised to post this photo weeks ago, sorry Matilda...I always forget everything! 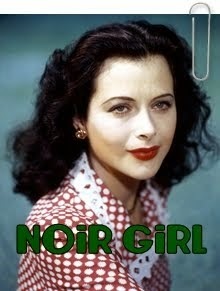 Last week I started a new weekly series featuring a different lovely lady a week. 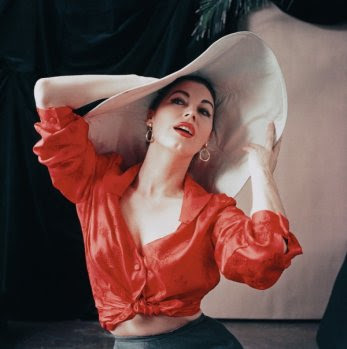 This week I continue with Ava Gardner! 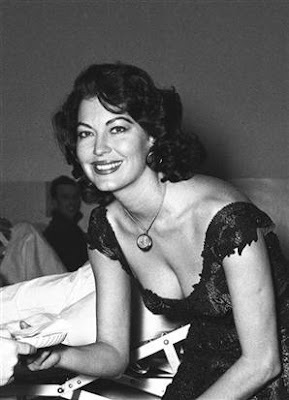 Ava is one of my absolute favorite actresses. 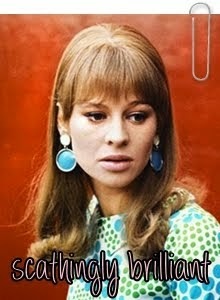 And she is number five on my "Most Beautiful Actresses" list. There is something so amazing about her. She can be glamorous and stylish, but at the same time be completely natural and real. 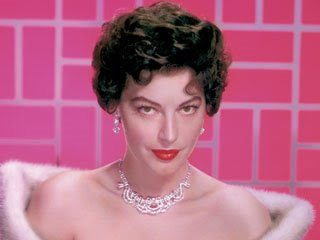 Very few ladies possess this quality and none with as much amazingness as Ava. I fainted when I saw this!